Sweetkiss Momma is something of an anomaly. 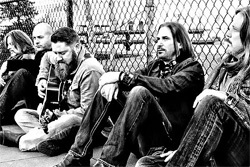 They come from the Mecca of grunge music, the Seattle area, yet play this classic country rock steeped in soul, blues, Gospel music, and groove. It's a time warp really, like to the Seventies. But it sounds totally authentic and fresh. It's not retro music, nor are they some throwback band. After two albums, the band drops a small EP, What You've Got, consisting of four originals and one cover. It comes in advance of a 30 day European tour starting in March. Considering the new cuts first. Right from the start you're whisked back in time to some place between Memphis and Muscle Shoals. 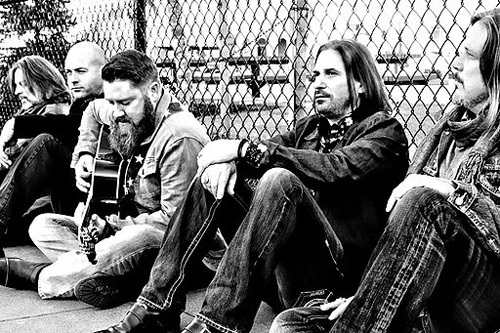 The title track has a true Southern rock feeling, a blend of Allman Brothers and Black Crowes, complete with a bit of cow bell. Dig that bass line breakdown in the middle. Hot Mess is heavier, with large riffage powered by thundering drums. Yet it has smooth and slippery lighter e-guitar segue in it's center, riding over that bass line. Later in the latter third, the guitar revs up for a lively solo. Rockwell picks up the pace a bit, with more sharp fuzzed out riffs and some gang vocals. Like You Mean It has a similar heavy vibe as Hot Mess, with lots of guitar licks, and what sure sounds like a saxophone in the second half. Nice. As for the cover, it's The Romantics' one hit wonder What I Like About You like you never heard it before. Sweetkiss Momma gives it this slow and gritty deep blues groove, while still retaining the melody. Frankly, I don't know what to make of it, it's that different from the original. I doubt very much the guys in Sweetkiss Momma will be poodling the hair, donning red shirts and red leather pants, anytime soon. Bottom line: with What You've Got, Sweetkiss Momma continues to deliver well-crafted classic country rock soaked in soul, blues, and groove. Recommended. 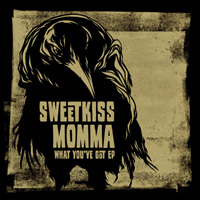 With this short EP, What You've Got, Sweetkiss Momma continues to deliver well-crafted classic country rock soaked in soul, blues, and groove. Recommended.